It’s been pretty hectic around my household lately, but I did manage time to finish my latest tutorial – the Story Teller Link Bracelet. The “Story Teller” is a design idea I have been working on for a very long time, as a way to “tell a story” with a beautiful piece of jewelry. 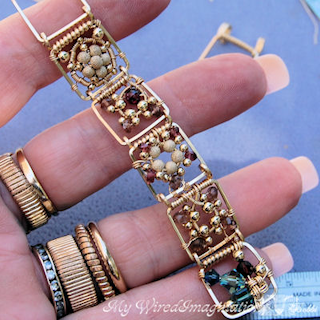 This tutorial provides step by step instructions to create an interlocking hinged link bracelet with a nearly invisible clasp. 21 design ideas and elements included. 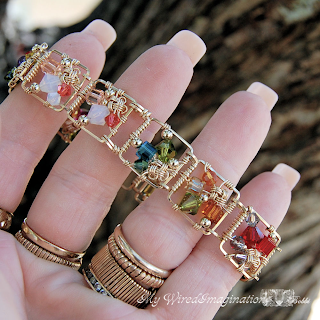 What a great way to incorporate inspiration from other artists into your own designs. It is so hard to do but you have done it with flair.